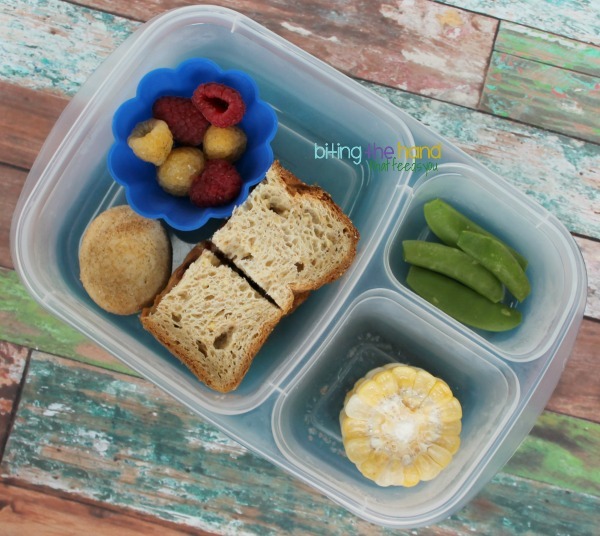 Biting The Hand That Feeds You: Toddler-Sized Lunches For My Little One! 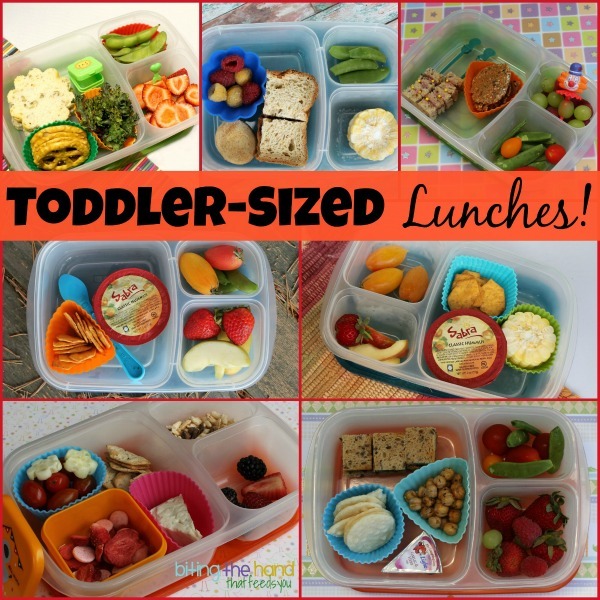 Toddler-Sized Lunches For My Little One! 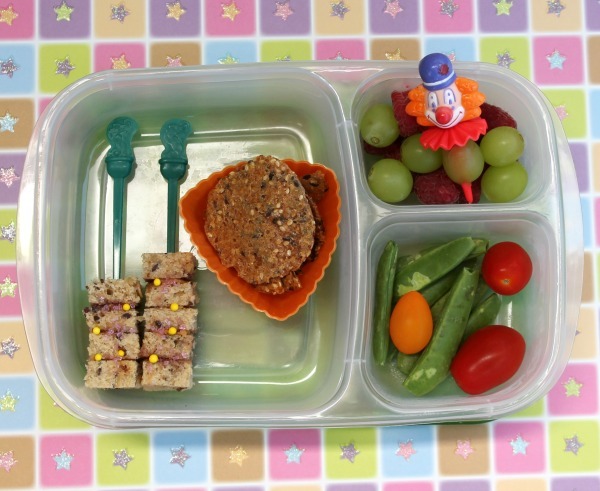 Lately I've been making themed lunches for the little one too, similar to her big sister's. But sometimes she just gets whatever. Still yummy, but not as cute and fun. 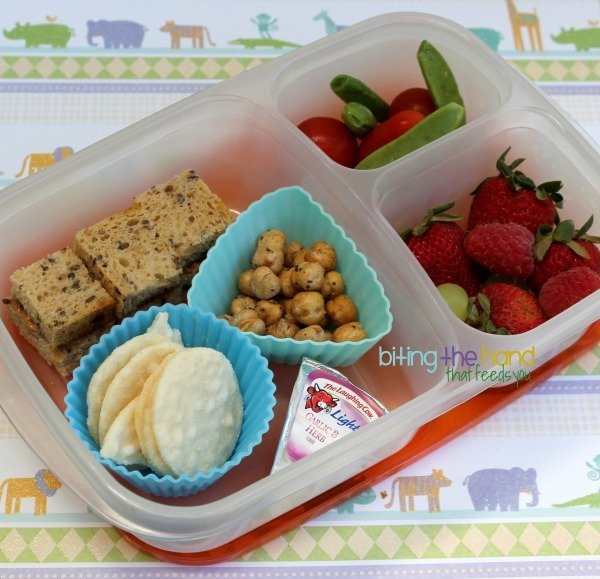 Thursday, 5/9/13 - I had some cucumber flowers cut with a small flower veggie cutter, so tried them on her again.I put dehydrated strawberries and some freeze-dried yogurt bites in a sealable mini snack box to keep them from getting moist and sticky. Both my girls go wild for these. Tuesday, 6/4/13 - I got the Cracked Pepper roasted chickpeas in a care package from The Good Bean, but since Z and I aren't fans of pepper, the toddler gets them! Muahaha! Thursday, 6/6/13 - I used the Funbites Squares cutter to make little sandwich bites and skewered them on drink stoppers from Starbucks. 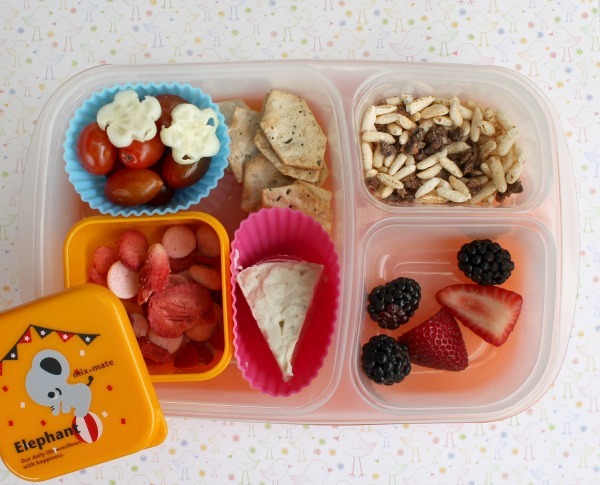 To go along with Z's birthday bento, Little Sis got some India Tree Nature's Colors yellow non-pareils and pink sanding sugar sprinkles on her sandwich bites too. To go with Bib Sister's party theme, I added a clown cupcake topper to the berries. Fun stuff. Friday, 8/30/13 - I used a flower cutter for the sandwich, just for fun, and added a heart fork pick to help her eat the berries. The sauce box has some kosher salt for her edamame. Friday, 9/6/13 - Big Sis isn't a huge hummus fan. She'll eat it on occasion, but usually not. So I save it for the little one and myself. I gave E some crackers to dip in it, along with her tomatoes, if she so chose. 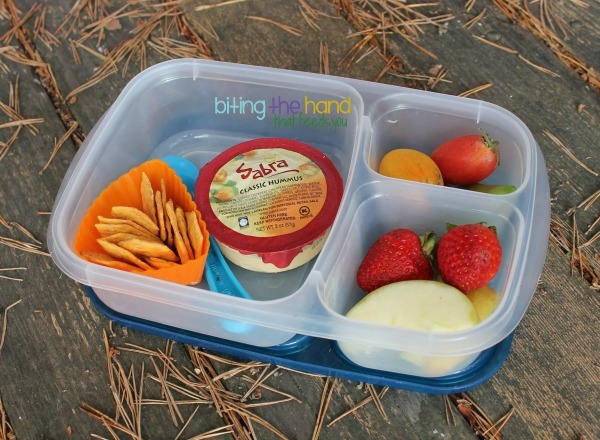 Monday, 9/9/13 - Hummus and crackers again. Nom! 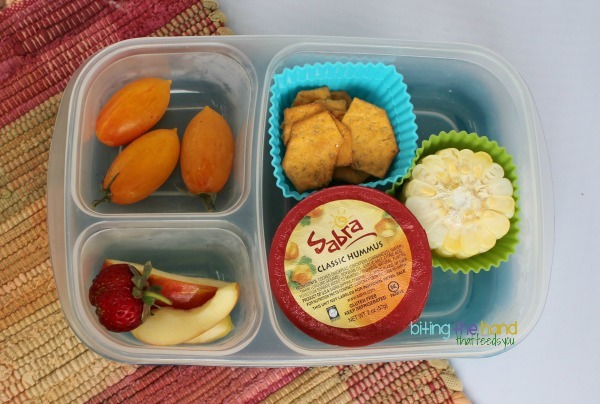 Monday, 9/30/13 - Another simple lunch, this time with a dessert-y treat! Hi,I have a picky toddler who just wouldn't eat anything! Loved your lunch ideas and presentation. I will try it for my son. I also liked your partitioned lunch boxes. Could you please tell me What brand it is and where can I buy one? Hi,I have a picky toddler who just wouldn't eat anything! Loved your lunch ideas and presentation. I will try it for my son. I also liked your partitioned lunch boxes. 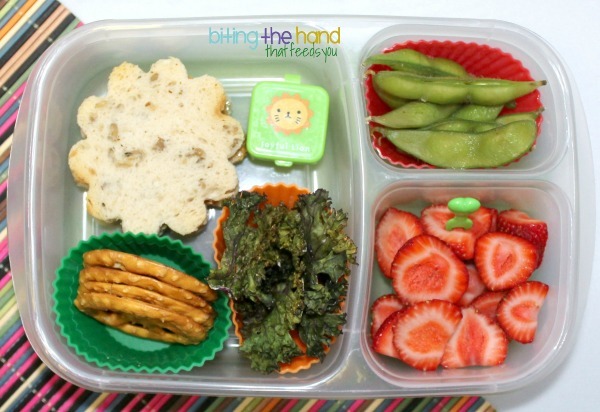 Could you please tell me what brand of lunch boxes are they and where can I buy one?